60-150 containers per minutes depending on products and label size. 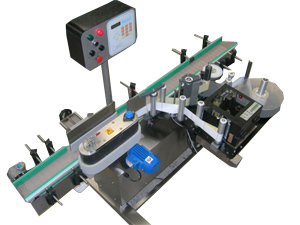 The automatic model is equipped with roller spacing device resulting in a simple to "No change parts required". Output/Hour☆ : 3600 to 6000 Nos. Height of Conveyor☆☆ : from ground level 800 to 880 mm adjustable.